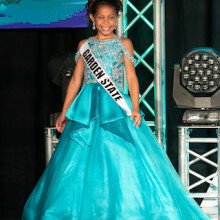 This past July, Sydney Lalla was crowned with her first National title, International United Miss 2018 – 2019 National United Little Miss. 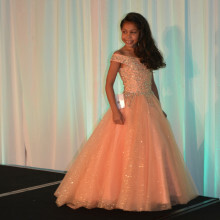 As a native of New Jersey, Sydney Lalla believes the world is a brighter place by each person’s unique gifts and talents. Sydney is a 9-year-old young lady on a mission to spread her love of literacy and reading with children. This year, Sydney held her first Book Drive focused on gathering used children’s books and donating them to children in need. Through her dedication and hard work, Sydney collected 2,500 books, which created a library at the Speer Village Youth Center in Passaic and were distributed at Passaic’s Children’s Day event. Sydney continues to shine her light by working with her sister queens on projects to support the community. Sydney has made appearances at various parades and community events lending a helping hand and is in the process of creating her own non-profit to continue her work in the community. In September 2018, Sydney will begin fourth grade at School 2 in Clifton where she participates in the district’s Talented and Gifted Program for Arts. Sydney also plays with the Clifton Girls Softball League where she plays second base/short stop and played on the 8U All Star Team. In her spare time, Sydney models, acts, dances and plays the ukulele. Sydney is dedicated to using her God given talents to support others and empower those in need while representing her rich culture. Which College Did Sydney Lalla Attend? I love wearing beautiful dresses, getting my hair/makeup done and learning new skills. The best part of pageants is meeting all of my new sister queens and friends along the way. I love learning the ukulele and watching Bollywood movies!